It’s been a while since I’ve prepared a match blog, the result of a personally hectic few weeks. In this time, we have had a mixed run of results which saw us unlucky to lose to high flyers Forres, and outplayed by rivals Huntly. More positively, though we were extremely competitive away to Turriff United, gaining us a solid draw, and in picking up a win on the road at Fort William. On a personal level I write this in new employment, and a lot lighter in the pocket after successfully convincing my partner of the past few years to engage in wedding planning by puting a rock on her finger. It was a disappointing game to make my blogging return as Keith were outplayed by a decent-looking Strathspey side. Confidence was high in the Maroon camp going in to the game as we looked to surpass last year’s points tally against the side from the Cairngorms, this confidence misplaced, a severe oversight from the members of the supporters club who dismissed Strathspey as the whipping boys of old. 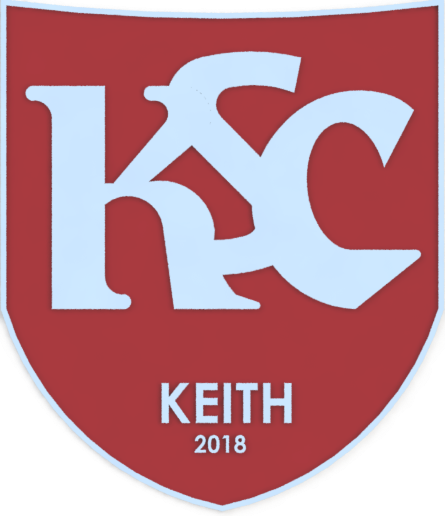 Once again Keith were up against a team on the back of a defeat to Cove, but Strathspey were not subject to hammering by the current champions like many others, as their two-match unbeaten run was ended by a narrow 3-2 defeat by the city team. Having previously drawn away to Fort William, then at home to Formartine, the Grantown team arrived in Keith in excellent form, very much buoyed by the recently appointed new management team. Once again, the Maroons were threadbare across the park due to injuries to Michael Selfridge, Ryan Spink and Scott Begg, to name just a few. However, this can’t be used as an excuse on a day where performance levels never reached the heights that we have come to enjoy in recent weeks. Let’s take nothing away from Starthspey, who played some great football, and looked dangerous in attack. Striker Scott Lisle’s flicks and tricks caused problems for Keith all day, and when he found himself goalside of Jamie McAlister, the Keith veteran could only bring the tricky striker to the ground, and found himself making his way for an early bath. There didn’t seem to be too many complaints from the Keith players, and from our position behind Simmo’s goal, it appeared to be a fair decision. With Keith holding on for a draw, Strathspey continued to turn the screw and their efforts were rewarded from a dubious-looking corner converted by midfielder Ricky Lee. With Keith now a goal down, as well as a player short, we began to show some of the quality previously missing. A couple of opportunities came knocking, unluckily not landing at Cammy’s feet, since he’s always sure to finish, but we were unable to convert. As the clocked ticked down, and the toothless Keith attack looked devoid of ideas, Lisle again showed how dangerous he can be, catching the Keith defence off guard and clinching all three points for the Speysiders. In a game where there were little highlights to take from a Keith perspective, a word of praise has to go to KSC man of the match Greg Simpson who prevented the game being even worse. Well done Simmo!! All in all, a very disappointing result for the Maroons who look a much weakened side when Selfie’s not playing. Strathspey thoroughly deserved their first victory of the season, and I’m sure their next win won’t be far away if they can keep performing like that. After the game the supporters club made the most of the recently-awarded social club alcohol licence by grabbing a few post-match pints to drown our sorrows. Although all fans were down in the dumps, it was hard to stay this way when introduced to the Maroon WAGs enjoying the Keith FC hospitality. The Keith players may have found their level in the Highland League, but they’re most certainly operating in a league above with their partners. We also started selling official KSC merchandise on Saturday, modelled by out very own Scott Andrews in the photo below. If you’re interested in KSC merch, contact Scott, Stooie or Grant and we’ll be happy to help.